Where are 'fugitive' Ajay Gupta and his brothers? 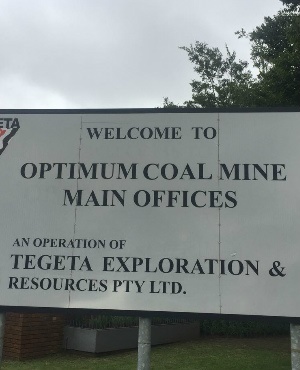 Johannesburg – Striking mineworkers at Gupta-owned Optimum Coal Mine have demanded to know the "truth of the sale" of the mine. A large group of mineworkers gathered at the main gate of the mine early on Thursday morning, insisting that management briefs them. Optimum Coal CEO George van der Merwe received a memorandum from them. In the memorandum, they demanded to know if they would be paid and asked to be informed of plans to pay outstanding debt to creditors. Van der Merwe said he and his management team would go over the memorandum before they respond. "The truth that we will give you won't always be what you wanted to hear, but it will be the truth. The situation that we are in today is not as a result of only our own making, but the result of external forces," Van der Merwe said. On Wednesday, general manager Howard Pyoos said the Department of Mineral Resources was not aware of any possible sale of the mine because they had not filed for its transfer yet. The sale of mining rights requires approval from the minister. Pyoos told the workers that Swiss-based Charles King, which wanted to buy the mine, had already paid a deposit. "A portion of that memorandum... required a deposit and, if the sale does not go through, that deposit must be given back to the buyer," Pyoos said. Rapport reported on February 11 that Ajay Gupta had been spotted at Optimum on Tuesday, February 6. -ALSO READ: Where are 'fugitive' Ajay Gupta and his brothers? Ajay landed in a helicopter at the mine with Ronica Ragavan, the chief executive of the Guptas' holding company Oakbay Investments, who was arrested by the Hawks during raids at Gupta properties last week, in relation to a case involving the Estina dairy farm. She was later released on bail. According to the Hawks, Ajay is currently a fugitive from justice in an unrelated case.